Just minutes after Derrick Nix crumbled to the floor after taking a groin shot from Zeller (Nix could hardly walk), Nix took over the game. He completely turned the momentum in the Spartans favor, taking the lead on 4 consecutive points and The Brez was at a fever pitch with the floor slapping defense. Referee Ted Valentine, halted play due to what appeared to be a retaliation fist to the balls by Nix on Zeller. The accusations flew on ESPN about the NIX cheap shot and lack of sportsmanship. The incident stopped play for 5-minutes and more importantly for Indiana, stopped the Spartans charge and caused MSU to take it's foot off their throat. It was a game changer. Izzo held Nix out of the game after the stoppage in play. Zeller has got to be the craftiest player I've ever seen. I'm sure you can come up with other adjectives and colorful phrases. I am now so looking forward to meeting them in the B1G Championship game - gotta get there. 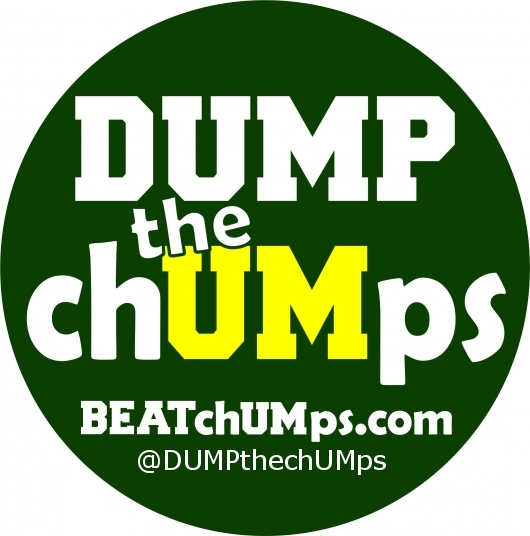 Let's BEAT chUMps on the way there, then beat Indiana's chump in the last game before the big dance. 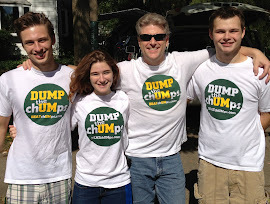 DUMP the chUMps shirts - Now this was interesting. We had 15 shirts in the front row and ESPN just happened to miss them all game long - except for a few "accidents" like the photo below. 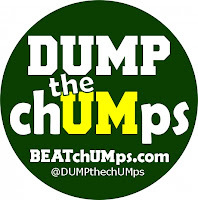 Am I suggesting they purposely tried to keep the DUMP the chUMps phrase off the TV screen? YES. 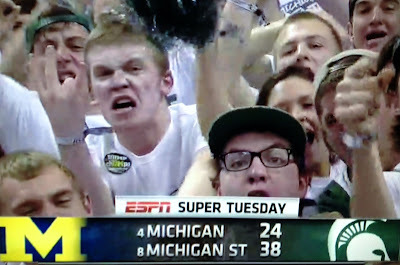 You see, several years ago Spartanman82 and I wore the No-Michigan shirt (shown in the DUMP the chUMps store) to a MSU vs. Ann Arbor game on ESPN. We were in the front row right by the hand-held camera. The camera operator told us we will never get on TV in those shirts because the people making the decisions on which camera shots get on TV are Michigan grads. 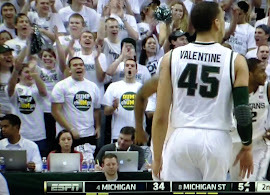 When I watched the recording of last Tuesday's game, each sweep of the front row either began just after where our shirts were or stopped just before they were to appear on the screen - or it went right over the heads of the guys wearing the shirts. 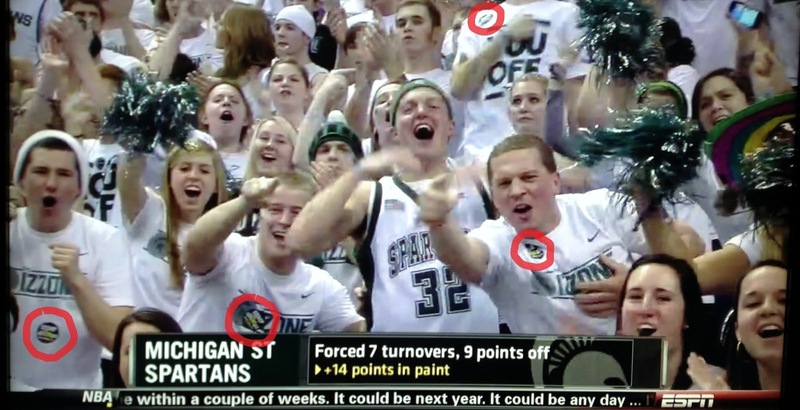 Also a couple guys wearing the shirts were not on TV at all during the first half, but when they changed to their Izzone shirts in the second half they were on ESPN multiple times. The shots below were pulled from 0.10 - 0.30 second "mistakes" when the shirts got past the censors. 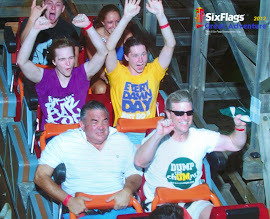 The guy below had to raise his shirt up to get it in view of the camera and ESPN immediately changed cameras. 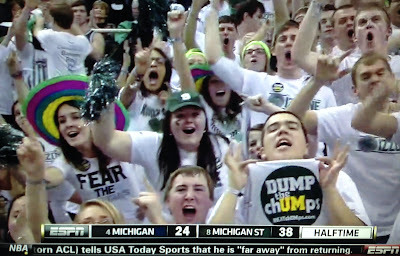 The guy to his left (off screen and two people to his right) each had DUMP the chUMps shirts on, but the camera is purposely high as it was all game long. How petty. This is really making me fired up for next year. We will study that tape and will not be denied in 2014. 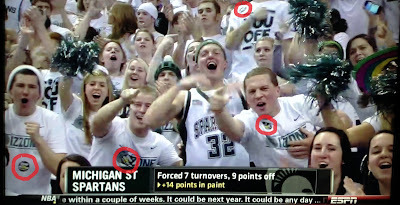 Look where these guys are - with all the camera work on the Izzone, this 0.10 second shot is the only time they show up? All game? No. They show up - but just their faces, but mostly the rows behind them get face time. 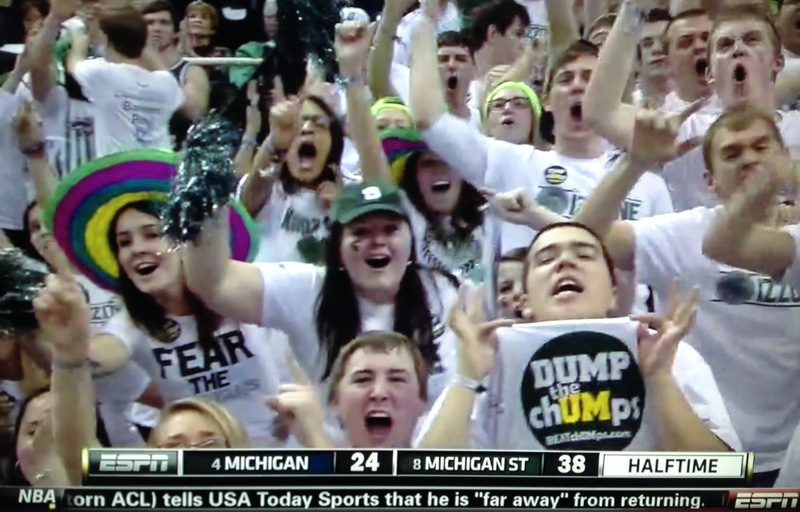 We must all resist the temptation to label every fan of the University of Michigan as a "chUMp". Some of them are decent, respectable, fair-minded sports fans. A few of them even attended U-of-M.
One Michigan Fan who stood out to me in the aftermath of the weasel whipping session on Tuesday night works as a crossing guard at my child's school. This is a guy who wears the navy blue and yellow coats and shirts and hats on a regular basis. He's been known to parrot the "go blew" slogan at times. He looks like a prime candidate for chUMp status. As I approached him on Wednesday morning, I considered saying something to him about the game, not in a nasty way, but just as a reminder of what happened the night before. Since he's generally a nice guy (and a very good crossing guard), I decided to not say anything at all. As I walked up to his post, he beat me to the punch by saying what a great game my team played against his team, extending his hand to shake mine in congratulations. I told him it was nice of him to say so as we shook hands together in front of the school. There is no reason to consider this guy a "chUMp". There was no need to rub any parts of Reality in his face, nor to make fun of him or try to make him feel bad. 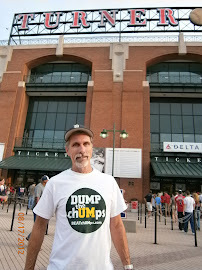 This guy may be a UM fan, but he exhibited none of the characteristics of a "chUMp". 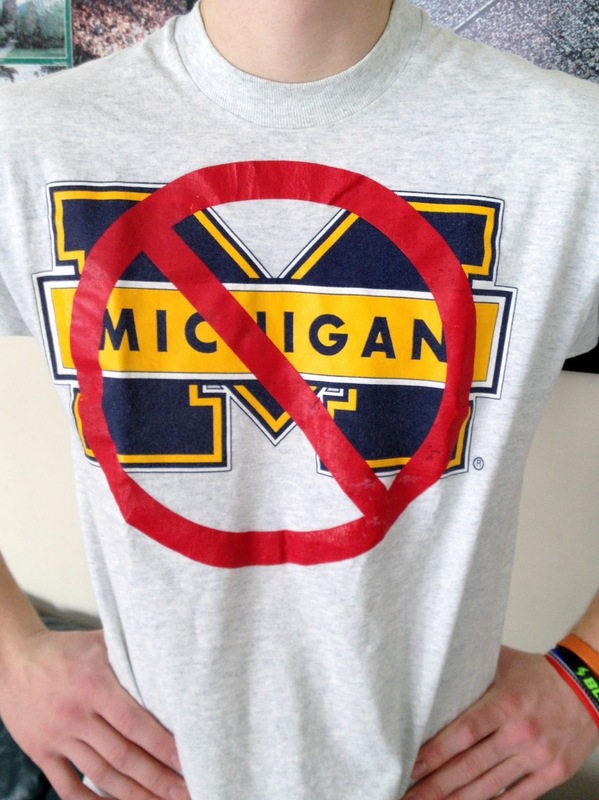 This web site and our movement are not directed at all Michigan fans just because they support our main rival. We reserve our mocking disdain for those members of the weasel fan base who truly deserve it, and there are many thousands who have earned the title. It's important as Spartans to give everybody a chance to earn our disrespect before we hand them the label of "chUMp". That said, we saw more than a few young chUMps parading around the Breslin concourse BEFORE the game, crowing and shouting and carrying on about how great they were. They were mostly ignored by our own fans, probably because most of us know that post-game is more important than pre-game. When the game was over, those chUMps were nowhere to be found. If you meet any Michigan fans like our school crossing guard, be sure to match their respect with sportsmanship of your own. Even as our teams do well, we are bound to lose to UM at least once in awhile, and we should also be civil in defeat as we are in victory. Just hours before the epic blowout at Breslin on Tuesday night, a strange story appeared in the sports media. A surprise visitor was planning to attend the big game, and he wanted everybody to know he would be there. It was Brady Hoke, who works as Michigan Football Coach for his day job. 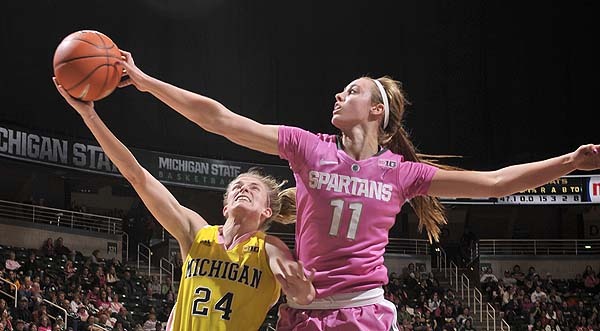 Hoke sat behind their bench with his new BFF Lloyd Carr, both apparently under the delusion that the Wolverines would waltz onto the MSU campus firing three-pointers like the t-shirt cannon they shoot during timeouts. Instead, the football coaches trapped themselves a few rows away from the IZZONE on a night they were said to have been their most powerful in a decade. The evening was capped by the memorable chant of "Little Sisters" cascading around them during the historic "white-out". 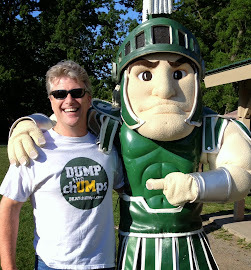 Most Spartan insiders know that Hoke has a crush on Sparty. Hoke has been trying to get closer to Sparty ever since his return from San Diego. One of the draws for taking his current position was the increased proximity to the famous Spartan Warrior, just an hour's drive away from his office. Hence, the road trip. When Mark Dantonio heard that Hoke was on the way, he offered to host the Brady Bunch in a Breslin suite, but Hoke declined, saying he wanted to sit "closer to the action". Most of the "action" that Hoke was interested in wears a battle-kilt and boots and watches games from the sideline. Hoke spent most of half-time standing up and saying nothing, a routine he also uses during football games. 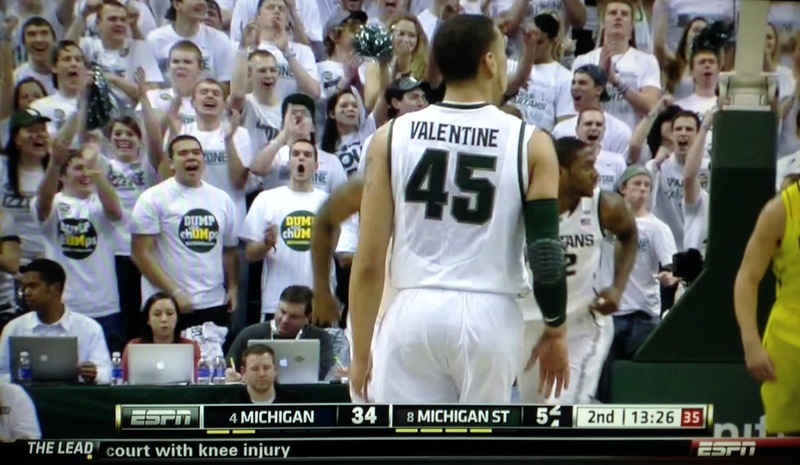 He seemed to be posing like a statue, trying to attract Sparty's attention. But Hoke failed to gain a first down, and had to sit through the second half of a very successful weasel hunt. New to Spartan Resource and BEATchUMps.com? Dozens upon dozens of links updated real time to media articles and posts about Spartan sports at the bottom of the page. It's your one stop shop for your Spartan news fix - the Spartan Resource Center. There is a chat area below the Resource Center. The most viewed posts are in the right column. The most recent posts are under the first few post, above the media links. I didn't mind the Ann Arbor team until I figured out their "legend" was a chUMp. Today's media guide - game notes.